An invitation to the public. HUNTER CLASS SHOOT 11TH OF FEBRUARY 2017. 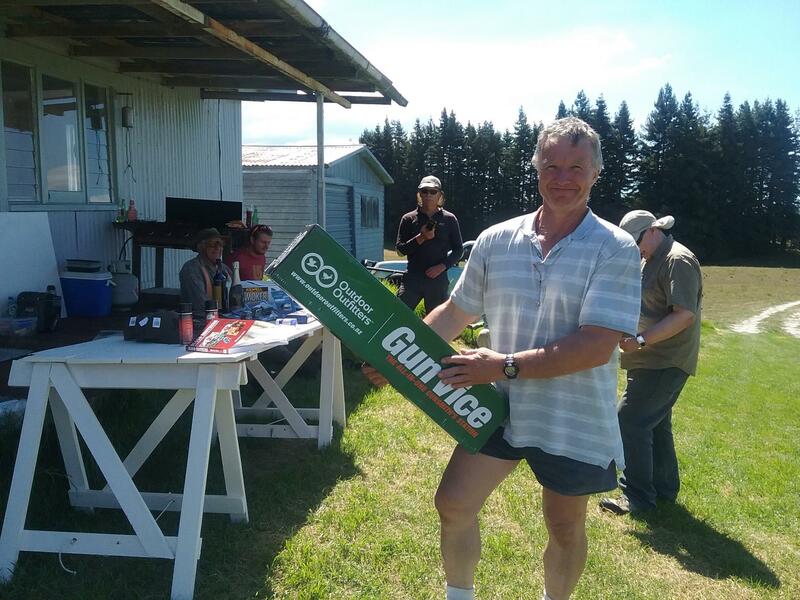 TE PUKE RIFLE CLUB IS HONOURED TO HOST THE BAY OF PLENTY’S FIRST OPEN CHAMPIONSHIP FOR FACTORY STANDARD SPORTING RIFLES. THIS IS TO INTRODUCE KEEN HUNTERS TO OUR NEW HUNTER CLASS COMPETITION FOR SPORTING RIFLES TO INCREASE THEIR SKILLS AND HAVE SOME FUN AT LONGER RANGES. THE COMPETITION WILL BE HELD OVER 300, 500 AND 600 YARDS TO BE SHOT ON SILVER MOUNTAIN ELECTRONIC TARGETS, COURSE OF FIRE – 2 CONVERTIBLE SIGHTERS PLUS FIVE ROUNDS FOR SCORE AT 300 YARDS ONCE, 500 YARDS ONCE AND 600 YARDS TWICE, ON NRANZ TARGETS. ROUND COUNT REQUIRED 7 ROUNDS PER RANGE SO 28 ROUNDS FOR THE DAY. ALL SHOTS WILL BE FIRED PRONE, WITH RIFLES SUPPORTED BY BIPOD/BACKPACK OR SIMILAR. THIS SHOOT IS LIMITED TO 50 PLACES, ON A FIRST IN, FIRST SERVED BASIS. 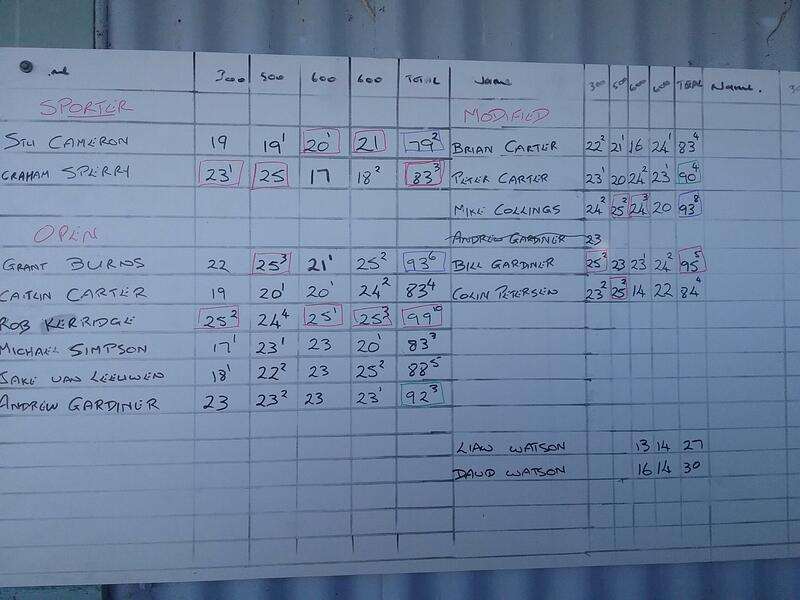 TO GIVE ALL SHOOTERS A FAIR CHANCE TO COMPETE WITH EACH OTHER WE WILL SCRUTINEER ALL RIFLES ON ARRIVAL TO SIMILAR RIFLE CATEGORIES (HUNTER/VARMINT ETC). 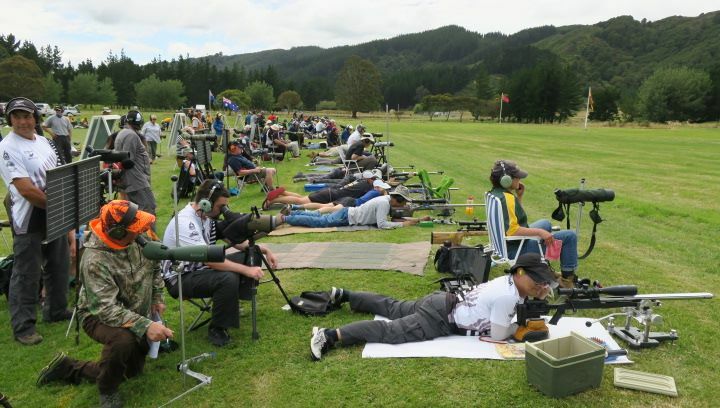 Please go to our webpage and click on gallery for some video of Te Puke rifle range. bully, Double Shot and Woody like this. 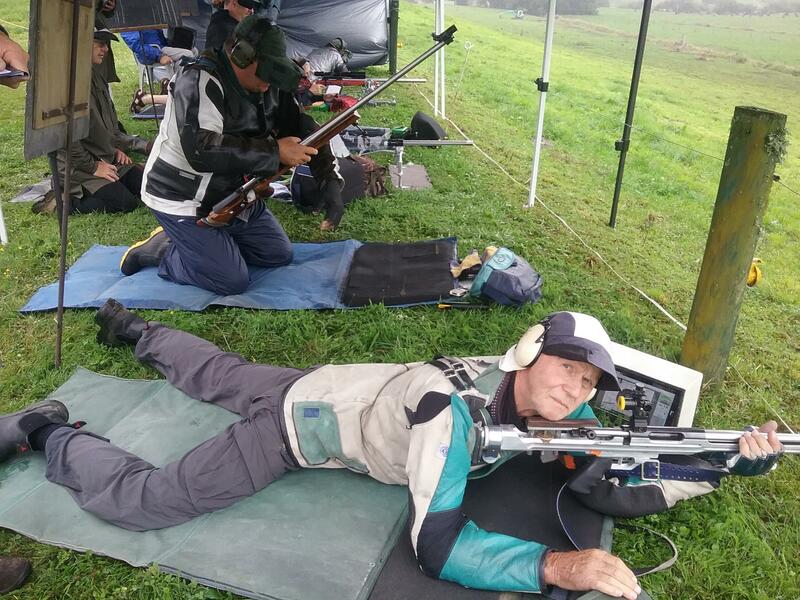 Te Puke Rifle Club is the sole remaining fullbore rifle club in the Bay of Plenty, and by default is the BoP rifle club despite the name. Our members come from as far afield as Opotiki, Whakatane, Makatu, Rotorua, and Tauranga. The range has 7 target carriers and shooting mounds at 3,5, and 600 yards, as well as a zero range. The RSO's allow calibres up to 8mm and an energy limit of 5160 joule. All shooting must be conducted from the prone position in order to reduce the risk of shots escaping the range's cone of fire. Link? Nothing coming up on Google. Fullbore rifle shooting today, is derived from the defence rifle clubs of the past, which existed with the support of the govt. of the day to develop skill at arms within the civilian population. Their rifle was the service arm, the .303 in all its variants. The ammunition was the service round, the mark 7 ball. A full metal jacket of 174 grains with cordite charge. The change to the 7.62 nato round and the SLR L1A1 without provision to supply the service rifle to the rifle clubs, resulted in the introduction of the specialised target rifle chambered in 7.62. Initially these were rebarrelled military actions, but these were quickly superceded by purpose built single shot rifles such as the Omark and the G&E. With no requirement to use the service arm, the search for precision built actions and barrels took off, and today there are few restrictions on the target rifle used in NRANZ competition other than it be chambered in .308 Winchester, use a bullet under 156 grains in weight, and use front and rear iron sights. .223 rem is also an allowed chambering with a max bullet weight of 81 grains. This has made fullbore shooting today an expensive sport compared to its origins of a cheap service rifle and subsidised ammunition. 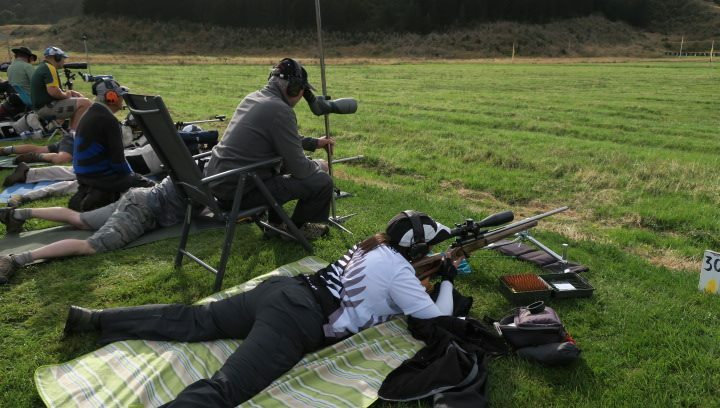 The additional classes of F open shooting and FTR which allow the use of telescopic sites and benchrest type support bags have added to the problem of increasing costs being perceived as necessary to staying competitive. Hunter class has been introduced as an attempt to return to the use of a cheaper factory rifle in competition, to encourage greater use of our rifle ranges. johnd, sometimes, Krameranzac and 5 others like this. Go to Sportsground and then search for Te Puke Rifle Club. Similarly Clevedon and Akarana-City RCs clubs use Sportsground - along with heaps of other sports organisations. Because I have only just joined, I do not have permission to post links yet. Perhaps someone would be kind enough to find the page then post a link to it. @Gibo go and represent the Waikato drinkers for us. There's a good lad. Gibo and Double Shot like this. My son & I started in the FTR class with a standard Savage Model 12 .223 rifle 1:7 twist 26" barrel. 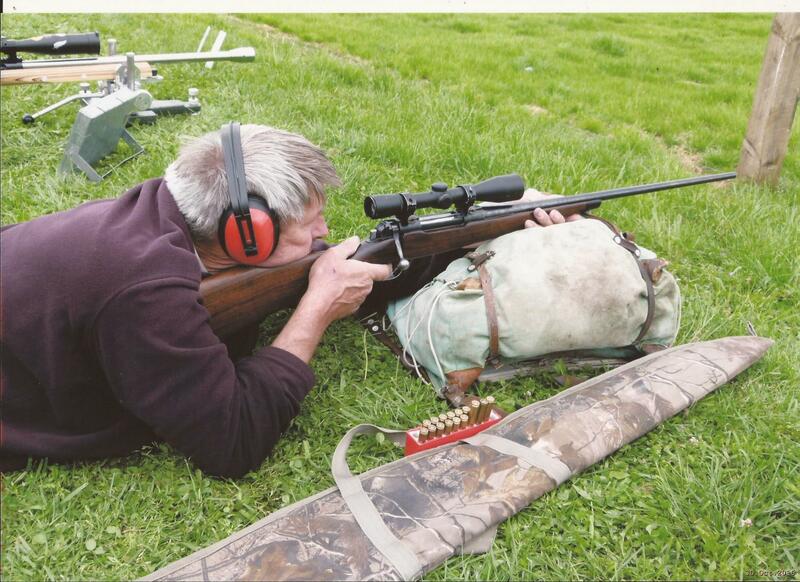 An off the shelf rifle can be a good start in target shooting. Been along to three shoots so far. Really nice crew of people there. Very helpful, full of fun but at the same time, properly disciplined. Some experts in that club who are very happy to offer coaching and encouragement. They are introducing new events suitable for sporting rifles, varmint and free rifles. Max calibre is 8mm I think. Contacts are on their web site. Good buggers Several experienced lady shooter members attend as well. The ranges shot are 3,5 and 600 yards. Some new photos posted on our webpage in gallery. We are open for three more Saturdays this season, then the range closes for the winter. If you would like to try your rifle out to 600 yards, we would like to meet you. All we ask is that you have a 100y zero before you arrive, or bring extra rounds to zero your rifle on our zero range. Because we use Silver Mountain electronic targets which detect the shock wave of a supersonic projectile, if your bullet is not supersonic at the target, the shot will not register. This is rarely a problem at 300 & 500, but some loads do struggle at 600 yards. Generally it is the smaller varmint calibres with light projectiles, but it can also occur with heavier calibres loaded with projectiles designed for close range work with the BC of a brick.